I received free product(s) to facilitate this post. Happy New Year Everyone! I have a cool review and giveaway for you. It is from Katazoom. Katazoom.com is a company that specializes in wall decals. They have a lot of really nice ones that can liven up your walls. They are great for homes or even businesses. You can shop by different categories, such as some really cool Head Board decals, I noticed. Look at this cute Princess Head Board Wall Decal. All our wall decals are produced on a professional grade matte vinyl with a special removable adhesive. 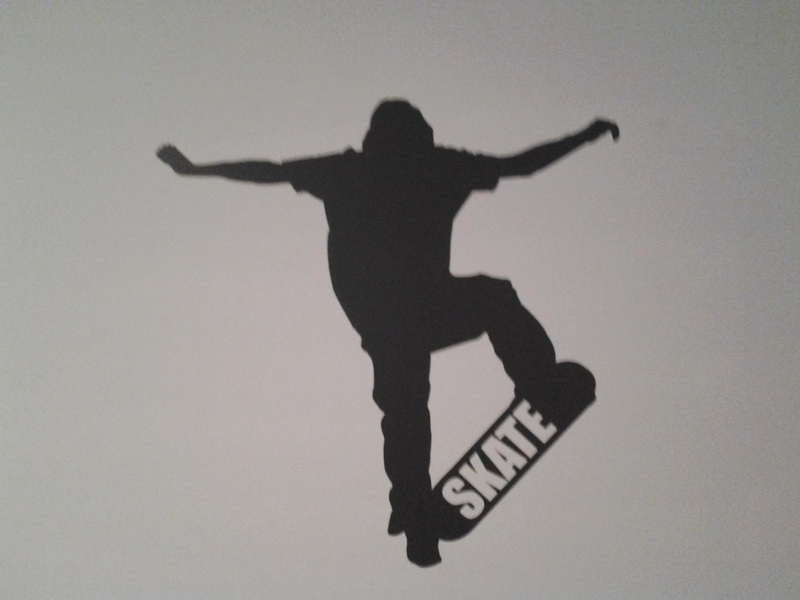 Our wall decals can be applied to any clean, smooth and flat surface. Each order comes with easy to follow installation instructions. Going into my son's room, I also noticed he could use something on the walls. So he picked out one of the sports decals. We got the skateboard decal. My husband put it up yesterday. He said it was really easy to apply. The decals come with complete directions. And I would suggest taping the decal on the wall, as per the directions. To work out your exact positioning. We put it right over his bed. I love how this looks, it's so cool! Would you like one of these wall decals for yourself? Well now you can by entering my giveaway! Disclosure: I received the above product complimentary for this review and giveaway. I love wall decals. You can change the look of a room without having to change the actual room. I want to win because I love their wall decals! I love all of the tree and flowers. I think "Flying Birds Tree Branch" is my favorite. I love the headboard! I would love to do something crazy in the kids' room, now that there's a nice new bed in there. I would like to win because I like total dark when sleeping and a sleep mask would definitely fit that bill. The serum would be a plus too. The tree decals catches my attention the most. Swirly Tree with Birds Wall Decal. I would love to win this because we are currently remodeling my daughters room and the nursery and this would be a great edition to accent one of the walls! I like the whimsical tree branch with birds wall decal, it is so cute! i really like the owls on a branch! My daughter has been wanting a wall decal! I would pick the love bird branch decal!